FiftyThree is the company behind Paper and Pencil, two of the best-loved creativity tools for the iPhone and iPad. Their software has won Apple’s App of the Year award, and has been commended in publications as diverse as USA Today and Better Homes & Gardens. It’s no surprise that FiftyThree itself has a strong philosophy of creativity. 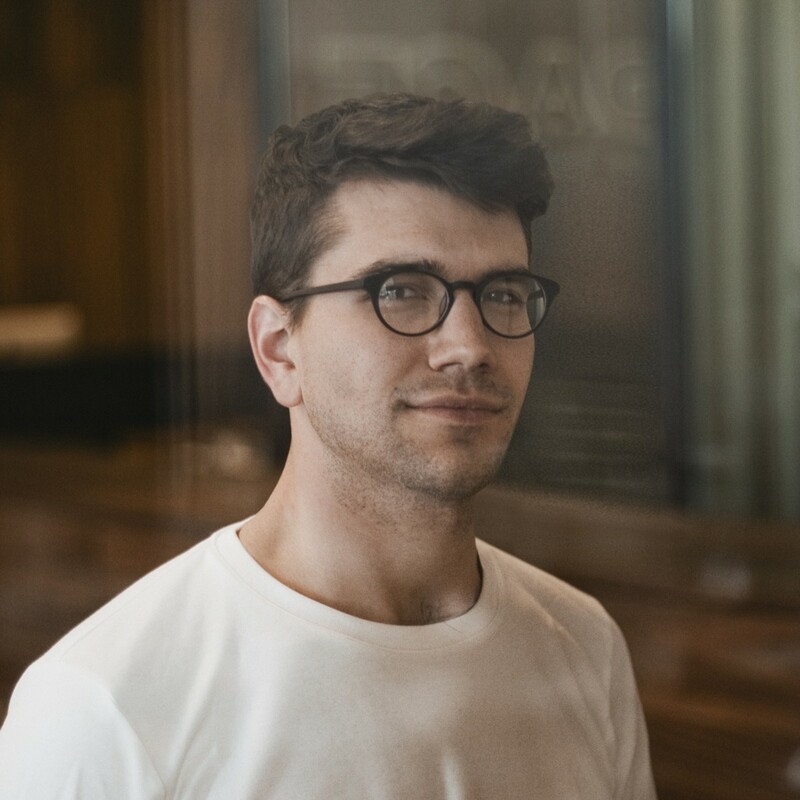 We spoke with Andrew S. Allen, the company’s co-founder and head of design, about what it means to be creative in a world obsessed with productivity. Tell us a little about FiftyThree and how the company got started. We started FiftyThree in 2011 as four friends from Microsoft (Georg Petschnigg, Jon Harris, Julian Walker, and myself) who gelled over a way of building products that centered around a strong brand story. At Microsoft, we worked on a two-screen tablet called Microsoft Courier that was a vastly different vision of a mobile device built for creative thinkers. This was pre-iPad. Andrew S. Allen. Photo by James Chororos. The insight for Paper came from our own style of working. We found that, even though we worked at big tech companies surrounded by the best technology — top-of-line video conferencing software, digital whiteboards, etc. — when it came time to work out rough ideas, we would reach for the most basic tools of sticky notes and whiteboard markers. While most of our productive worlds were digital and connected, the creative process was still in the dark ages. It became a challenge for us — is it possible to build a product based around natural, freeform creative output, rather than efficiency-driven productivity output? Productivity asks the question, “How would you like to say this? How would you like to formalize this as a document?” It’s fundamentally a question of “How?” Creativity asks the bigger question, “What is it?” That question is much more organic and open-ended. We found this new mentality had us thinking about interfaces in a very different way. You need to generate a lot of ideas, so things like speed, flexibility, openness, and visibility are very important. And, surprise — it turns out that computers don’t think this way. Creativity is perhaps the most human thing we know. From all of these ideas, Paper, the iPad app, emerged. And alongside Paper, a vision around not just an app, but a suite of things — our Pencil, a natural input stylus, and a collaborative service that would allow you to work with others. We’ve been building out that vision ever since. I use Paper often — I’m a UX designer primarily — so it’s interesting to hear how that started. We still see it today where a lot of software is just backwards. Even with “creative” software, the first thing they ask you is, “Can you name this document?” or “What kind of document are you trying to create?” We’ve found that, oftentimes, when you’re coming up with new ideas, you simply don’t know what you’re creating at first. You’re not sure how to classify it. That’s the whole purpose — capturing something that’s undefined or ambiguous. This is why we gravitated towards the name Paper. A blank sheet of paper can become anything. It can become a spreadsheet for a budget, or a kid’s doodle, or a UX flow. But everything starts as a blank piece of paper. How does design fit in with the organization? 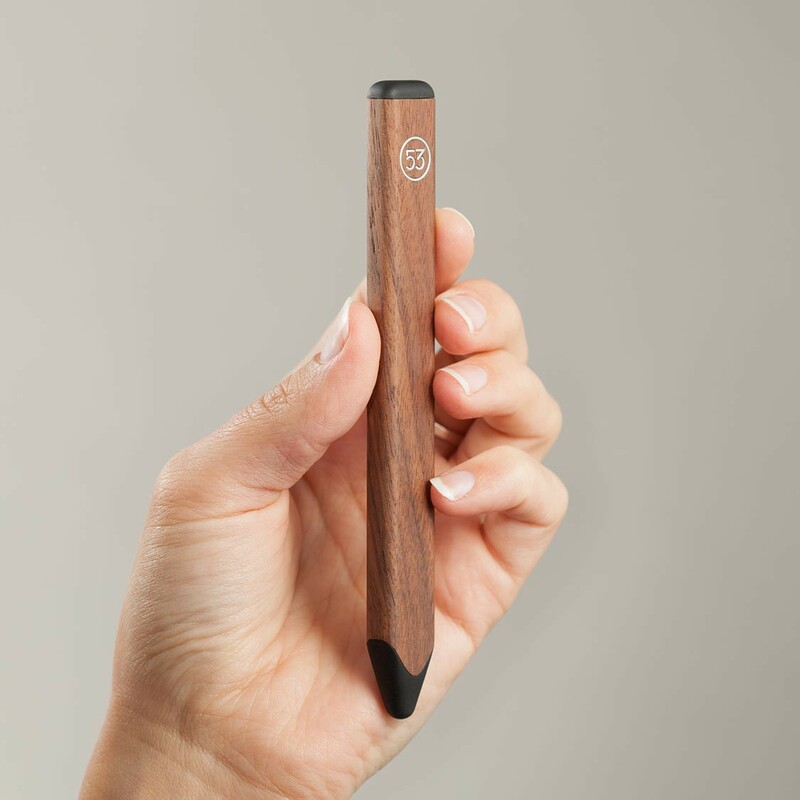 FiftyThree is about building products that have a brand and a soul at their core. If you really wanted to, you could look at Paper and break it down into a purely bulleted list of features and likely find that it’s not significantly different from what other apps were doing at the time. The magic is really in how we do what we do. We had to embrace a new freeform, creative way of approaching a product experience and rethink every typical UI trope. Design and brand thinking as a whole have been part of the company from the beginning. Once you have it as part of the company’s culture, it attracts the right people. We have a very equal engineer-to-designer ratio. All of the engineers that we hire know that they’re jumping into a very design-rich environment, and tend to thrive and seek that type of environment. Likewise, the designers that I bring in have a very core appreciation for other disciplines — people who cross worlds and bring in engineering and business perspectives into the design our culture. I’ve often heard people call us a design-centric company, and that’s flattering, but I don’t agree. I see design within our company as playing an equal role (for once). We’re so used to seeing design take a backseat to engineering schedules or marketing initiatives. FiftyThree is a place where a user experience can sit at the same level as our business objectives. How does the design team collaborate? We’re mostly in the same office here in Tribeca, so we lean a lot on in-person collaboration. But we’ve found that, as the team has grown, communication becomes a bigger and bigger challenge. Having an entire team that’s very interested in design and wants to be part of the process presents a new type of problem. You can’t have useful design reviews with 50 or 60 people in them. How do you broadcast ideas, insights, or design directions in a lightweight way where others can follow along and participate? That’s where tools like Wake have helped us get ideas out to the broader team in smaller bites on a more regular basis. As for other tools, we use Slack for internal communication. We use Google Docs and Quip for document collaboration and feature specs, and a slew of other design tools like Sketch, After Effects, Framer, Quartz Composer, Pixate, Swift. We stretch the use of every tool we use! How many people are on the design team? We’re nine total, and we put a strong emphasis on craft. 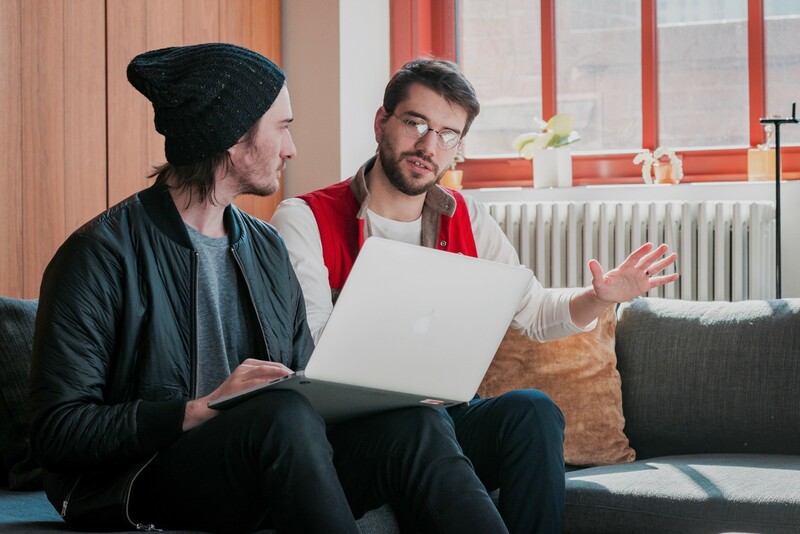 We have three dedicated prototypers (Amit Pitaru, James Paterson, and Eric St. Onge) who are designers with great coding skills who just couldn’t fit themselves into the strict design or engineering roles at other companies. As a team, they have the ability to dedicate themselves to complex tasks and build new, custom tools and frameworks to help out with some of the more rich, complex interactions we have in our app. Our app is really a mashup between a game and a productivity app. It’s 3D, it’s gestural, it’s got real-time lighting and shadows. In order to reach that level of finesse, we have to push our design and prototyping tools a lot further than more typical apps. Everyone does some level of prototyping as part of understanding the craft of software. Designers like Barton Smith, Allen Lau, and KJ Chun are masters at conjuring up new ideas and bringing them to life. Design is often about discovering new, better answers to common problems. One thing I’ve learned is that the sooner we can make something real, the faster we come to greater understanding, and the further we can advance our thinking. What does your team do differently today than it did a year ago? Over the past year, we’ve ramped up our research efforts. We’ve built out capabilities like usability studies on early prototypes and feedback on our existing product that allow us refine much faster. But some designers on our team like Paula Guntaur and Ian Curry are also dedicating more time to primary research where we identify a problem, then go out, gather data, and formulate insights to inform new ideas. I think there’s a lot you can learn from others — what worked and where they failed or got sloppy. It’s helped build a solid common understanding across the entire team, not just design, which has helped us push our design ideas further and move faster. What is the biggest challenge facing the design world today? That’s a big question. I think we went through a design boom post-Steve Jobs where design saw an incredible surge in importance across a number of industries. Many big companies sought to hire the best designers, others built their own internal design creative labs, and many began to emphasize design above everything else. We went from one extreme where design was an afterthought to design being the only thought. What came from it were a slew of apps and products that had great design but were not great products or businesses. One-by-one they made their splash and then sank. It was a humbling wake-up call to the design industry to grow up, look around, and work together as a team. As a founder, I’m in a role that allows me to see how the different disciplines within an organization come together to make something great. You can’t just have a great experience. You need to have a great marketing story, a great business plan, great engineering, and ultimately a great culture and process so that you can build on a great idea and evolve it quickly. I’ve come to appreciate staying power and slow success. The biggest challenge for designers today is considering how you design for something that needs to evolve and grow with a community of people over the course of years. Thanks again to Andrew S. Allen for sharing his insights with us. You can follow him on Twitter, or see what he and the FiftyThree team are working on at fiftythree.com. The header photo was taken by James Chororos. Design/engineering for Dwell/Lightstock. Building Hudson Valley Talentbase. Thoughts on process and collaboration at design-driven companies.